Wearable smart technology is hot on everyone’s lips right now, from the now-commonplace smartwatch to numerous fitness gadgets. Every sector is looking at how wearable tech can boost them into the digital future, and none more so than the health and safety industry. 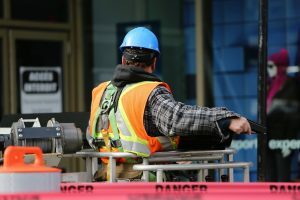 If wearable technology can help reduce the rate of workplace injuries and improve the level of health and productivity in workers, then it is surely a worthy goal for 2019. To take a look at what 2019 holds for this exciting technological sector, work accident solicitor TRUE Solicitors have explored which tech forecasts could help prevent work accidents in future. The technology for cold wear involves body temperature monitoring, as well as humidity and perspiration rates of employees working in extreme levels of cold. Information is sent back to the main office hub to allow management to check on the physical safety of their staff. For example, if an employee is experiencing dangerously high or low body temperatures, they can be called to leave the site that they are working from immediately to seek medical attention. For hazardous work such as mining, location devices could be life-saving for employees.Location devices can be embedded into clothing and are extremely lightweight. Being able to track an employee’s exact whereabouts can make the difference between life and death in situations when time is of the essence. Working certain jobs while tired is a huge risk. Fatigue monitors can be embedded into clothing to monitor the eye and head movements of employees, which indicate if employees are becoming too tired to carry out work activities safely. Fatigue monitors are great for improving decision making and response times, making them particularly good for staff who have jobs which involve driving for long period of time. This should result in less chance of injuries and damages to vehicles caused through falling asleep at the wheel. Some jobs require employees to be exposed to many environmental factors that can be harmful. Clothing fitted with environmental sensors that can detect and monitor gas, heat, chemicals and UV levels will be more commonplace in 2019 and beyond. This will help managers’ better monitor the physical health and safety of their employees when they are working in hazardous conditions. Working in the dark can also be quite hazardous. Light-emitting clothing such as safety vests fitted with LEDs, help to make staff even more visible on busy construction sites and when working in the dark. Helping to reduce the risk of workplace accidents occurring as a result of poor visibility. It not just to reduce risks from external factors — employers may start using wearable technology to track an employee’s overall health. Many companies will choose to implement wellness plans for staff to encourage active working. Research has proven that a healthy and active workforce can lead to increased productivity from employees, along with reduced sick related absences. The logical next stage for PPE (personal protective equipment) is for it to become more, well, personalised! Employers are implementing smart PPE to help prevent workplace injuries, reduce costs and to improve productivity of staff. Smart PPE connects to the internet to transfer real-time data of an employee’s wellbeing. The aim of smart PPE is to reduce employees’ exposure to hazards through the data collected that is used to send notifications to adjust internal and external conditions. The real-time effectiveness of smart PPE reporting means that site managers are able to detect exactly when an employee trips or falls, loses their balance or carries too much weight. Helmets are the trusty safety equipment for many workers. Smart helmets are not only built to protect workers from physical hazards but also contain sensors to check things like the user’s heart rate, temperature, brain activity, and oxygen levels in the blood. The data is tracked and stored in real time, providing management with key information to make them aware of instances where an employee may be too tired or not focused enough to perform tasks safely. Plus, smart helmets have the capacity to allow workers to access vital data through their visors will working. Making it safer for employees to carry out other manual tasks with their hands free, rather than struggling to balance holding onto clipboards or tablets. Smart glasses, like the Google Glass, might not have taken off yet in the wider community, but they are proving to be extremely useful in commercial settings. Smart glasses allow workers to communicate vital information back to HQ, such as audio and video recordings from the work site. Reversely HQ can send staff data such as maps, instructions and schematics to keep them safe and working. 2019 is set to bring some amazing wearable technology to the workplace. With the aim of reducing potential work accidents and managing risks, we’ll no doubt see more and more progress being made in this exciting new sector.